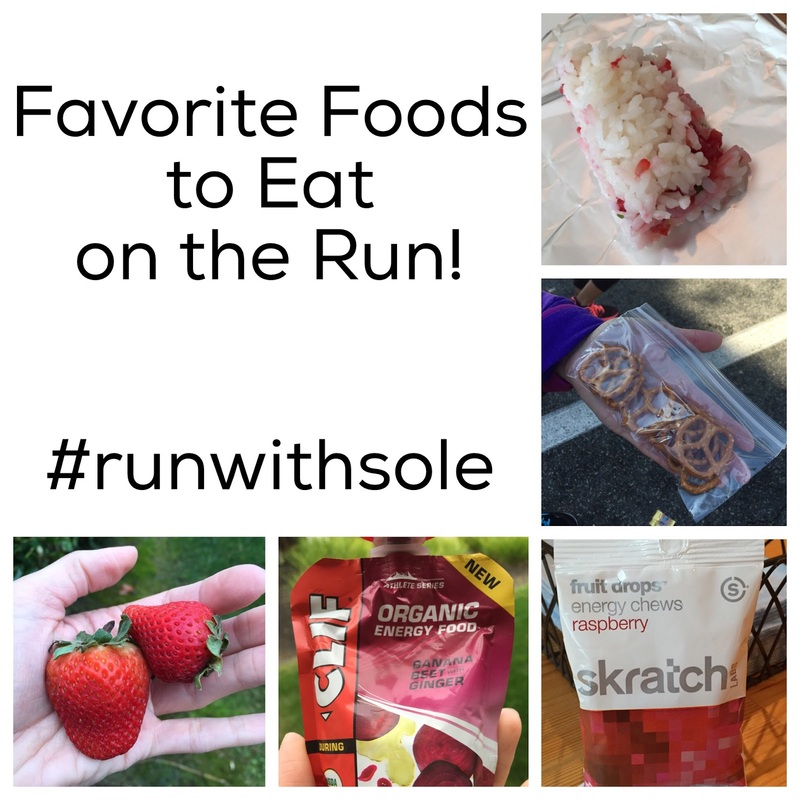 Runs with Sole: Five Things I Love to Eat on the Run! Part of my ultra training is making sure I'm eating right while on the run. I have been plagued with stomach issues ever since I had my first child. For some reason, when I run long, my stomach decides it's time to go into overdrive. Sometimes when I push the pace, it also goes a little insane. I used to be able to eat pretty much anything before the run, eat any gel and have caffeine throughout the entire run. 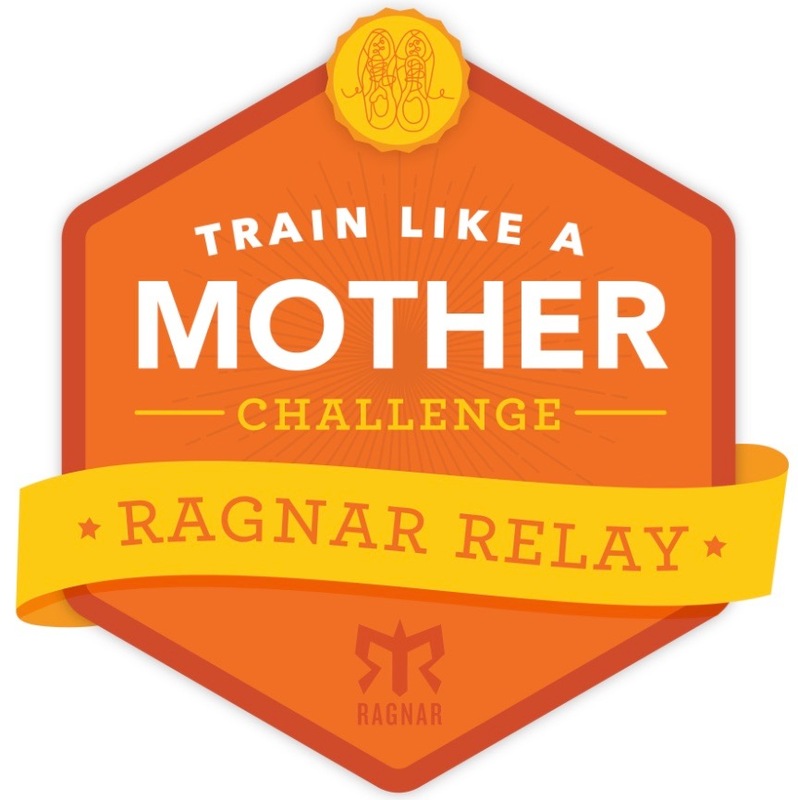 But when I was training for my first marathon after my son was born, that all changed. And basically ever since then, I've been experimenting with 100s of different items on the run. And now I think I may be onto something. It only took 10 years. I have found that my body tolerates real food more than anything else. When running for hours, all that processed sugar really takes a toll on me and my system likes real food more than anything else. Real food is also higher in water than the processed stuff, so you don't have to drink a ton of fluids in order to start the digestion process. I feel less bloated and just better, overall. Plus, the real food doesn't overload my system with tons of sugar, which is much better for my sensitive stomach. 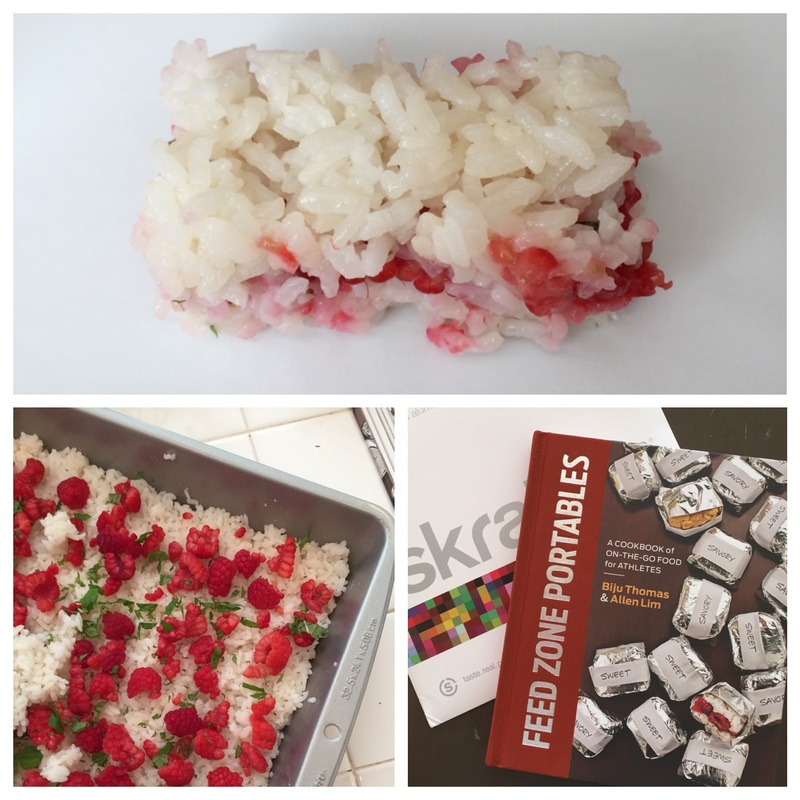 I've had the most luck with making rice bars from scratch and having them about every hour or so on the the run. 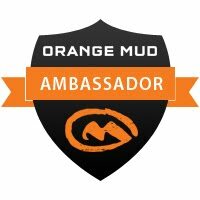 I started making these just within the last 5 or 6 months training for the San Diego 50 Mile back in January. My partner in crime, Vanessa, and I each make a batch of different bars and then share them along the way. She makes a savory version (with bacon!) and I make a sweet version. The ones in the pic are raspberry and mint. I get my inspiration from the Skratch Labs Feed Zone Portables cookbook. I've also done strawberry and chocolate, pineapple and coconut and peanut butter and jelly. 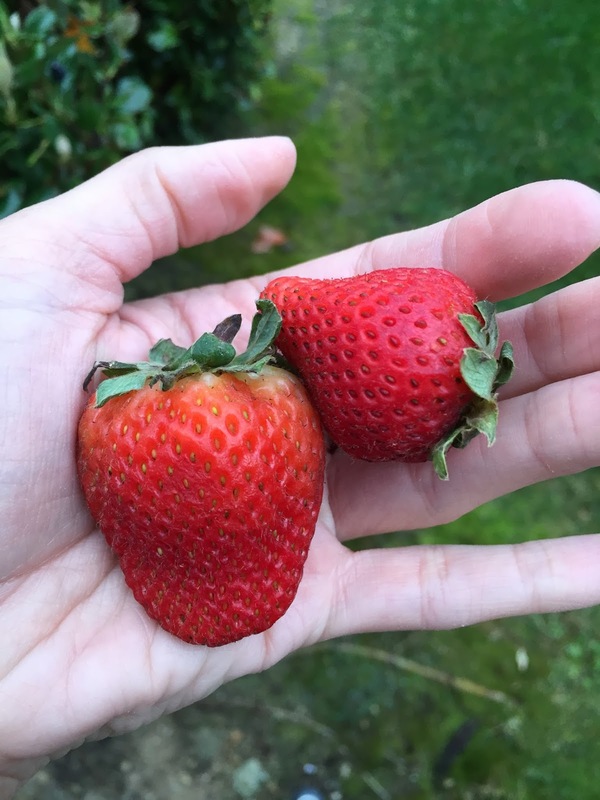 The first time I had fresh fruit on the run was during the Griffith Park Marathon in 2013. Most trail races, as I was discovering at that point, have a plethora of goodies at their aid stations. Think toddler's birthday party: candy, soda, fruit, etc. I distinctly remember eating a strawberry at the aid station at the halfway point and I was hooked. I don't bring it with me all the time, but it's such a refreshing treat when I do. I also love orange slices, bananas, watermelon and blueberries. I started running with pretzels well over a year ago. They are easily portable and can be found anywhere. So if I'm traveling for a race, pretzels will be on the menu. I prefer the smaller, thin pretzels as they are easier to chew while running. 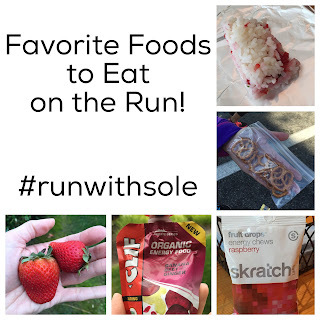 Between the carbs and salt, they are a great pick-me-up on the run. When traveling for a race, or just short on time to make my food in advance, these babies come in handy. 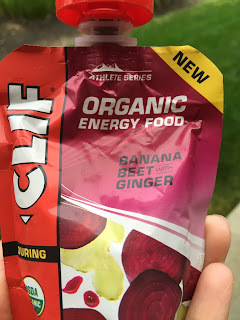 The Clif Bar Organic Energy Food packs are just fruit and vegetable purees, and sit well with my stomach. 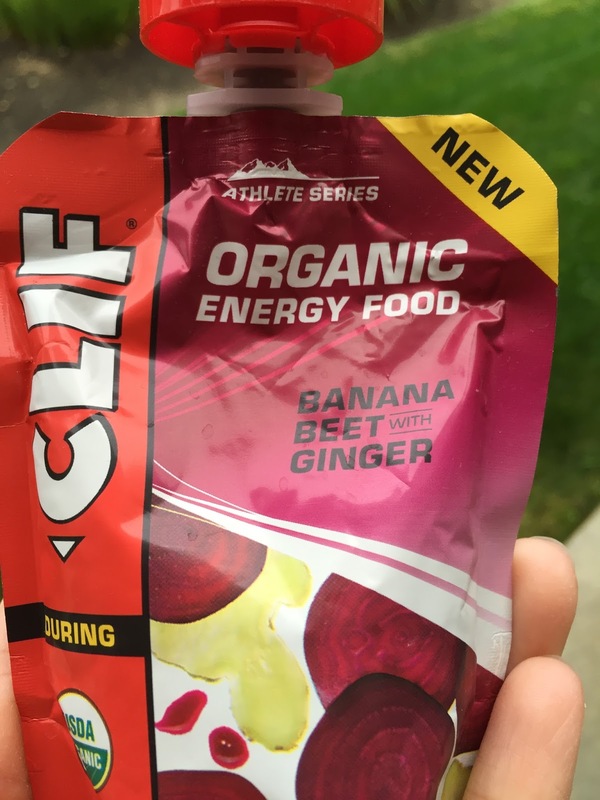 My favorite flavors are the Banana Beet and Ginger and the Banana Mango with Coconut. I've tried the Sweet Potato and I'm not a big fan. They have a couple of new flavors that I'm looking forward to trying! If I'm running a race that's shorter than a marathon, eating chews or gels works for me. Because I'm not running too terribly long, my system won't get overloaded by the simple sugar and erupt in unpleasantness. 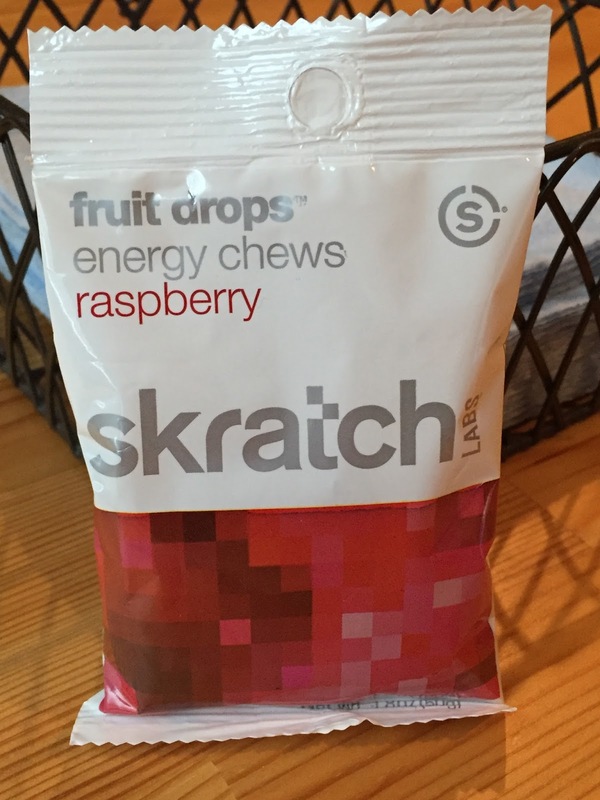 I find that I tolerate the Fruit Drops from Skratch Labs the best. My favorite flavor is the Raspberry. Some honorable mentions during a race: Twizzlers, Peanut M&Ms and Coke. I typically only have these during ultras where I know I won't be pushing the pace. But during shorter, faster runs, I stay far away from that stuff! What do you like while on the run? I am intrigued by those rice bars. I have never heard of those before but now want to look up some recipes! They definitely take time to make (which is why I use the other stuff in case I don't have the time to make them). But they are well worth the effort! 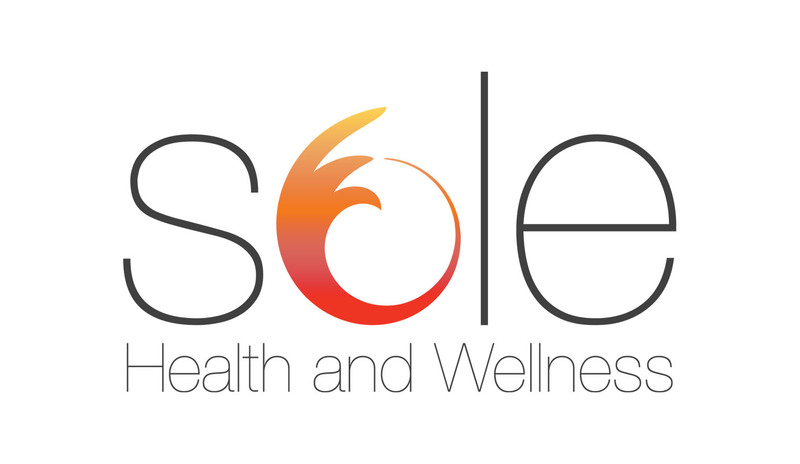 If you decide to try them, let me know what you thin!! The rice bars look interesting. I haven't ran anything longer than a marathon but right now like BeetBoost and use gels. I'll have to look into the BeetBoost. Is it a drink? I love the pretzel idea! 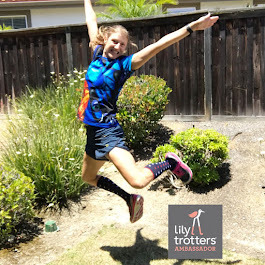 My longest races have been half marathons and I've been okay eating my Jelly Belly Sport beans, but I'm keeping these in mind for my next long race! I love pretzels. Let me know if you try them! I know! Especially on a hot day - there's nothing like fresh fruit!! I've run a few races with rice krispy treats as my fuel. I may have to try to make my own rice bars - sounds healthier than the ones I've been eating, but similar enough that I'd get energy without the tummy issues. It's funny, I don't have stomach problems and I don't do anything longer than a half, but I find I generally don't want something sweet as I get into the double digits. I make an oatmeal date almond bar & just break that up into little pieces and that seems to work for me. I have thought about rice balls, having reading the feedzone books, but never got around to trying them. I like pretzels after, but hadn't thought of carrying them during. But sometimes I need that salt! And I do like the Clif Sweet Potato -- it's better cold. I wasn't a fan of the Banana Coconut, although everyone else seems to like it! That oatmeal bar sounds really good. Do you have a recipe posted? I'd love to try that. When I used to run looooong distance my favorite thing to eat was PBJ! Yeah, I did PBJ for a while but I think I got burned out on it while running. I do still have one before I start running. I am a HUGE fan of the Clif Sweet Potato. So good! And I am also a BIG FAN of YOU! Did you see the comment above from ChocolaterunsJudy? She has the sweet potato cold and it tastes better. Maybe I'll try that. Maybe. Rice balls sounds so fun! I use Island Boost almost exclusive for "short" runs (half marathons) and will add in some other things for a full marathon. I tried a sweet potato concoction when I was training for distance races but on a paleo challenge. That was difficult. I never learned to fully adjust to whole foods but I'd like to someday - maybe when I train for my next 50k. Yes, I definitely think the whole foods thing takes some time to get used to. I also think it's hard to have them for shorter races, especially when pushing the pace. But they've really helped my stomach, so I am sticking with them for the foreseeable future! Love these ideas! I'm starting to get tired of GU. Yeah, the gels definitely get old after a while!! I brought thin apple slices with me on my last long run and OMG - brilliant. I may have to try apples tomorrow!! I am definitely interested in those rice bars! Is there a recipe you follow or is it only in that cook book? I follow the recipes in the cook book but I'm sure there are some you can find online. What great info! I have always used gels for fuel, but in the past 18 months or so I've had to seek out other options. I don't know if the formula(s) has/have changed or if my tolerance has. 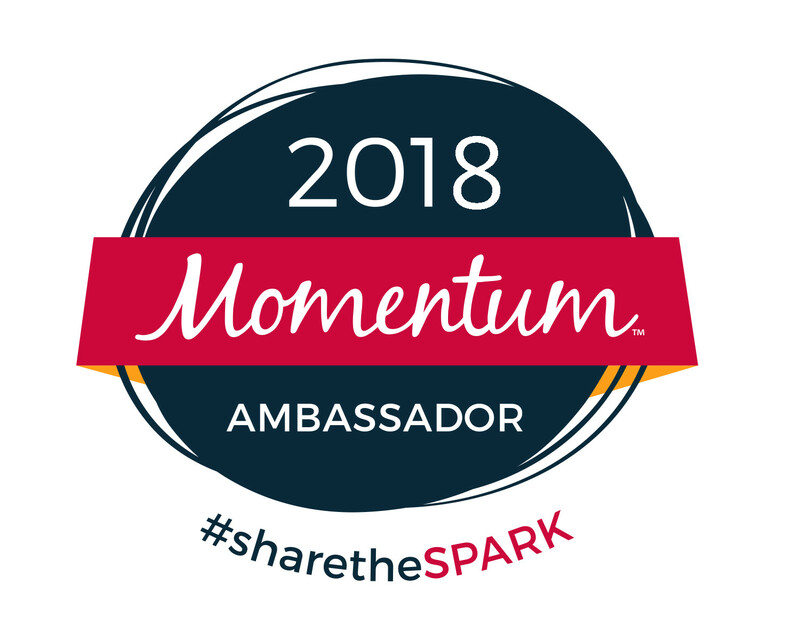 I did an ultra last July, and they had pretzels and flat Coke (as well LOTS of other real food), and those two things were a pleasant surprise. The rice bars look interesting! Oh man, soda during an ultra is definitely amazing!! Interesting snack options. I've never heard of the rice bars before. Are they crunchy or chewy? The rice bars are kind of chewy but not in a gross way. I've also baked them and they are not as chewy but not crunchy either. They're definitely worth the effort! Yum - I'm going to have to try the rice bars, they look like something my kids (3.5 and 9 months) would also enjoy. Thanks for sharing :). I sometimes make my sticky rice with coconut milk and it's divine! The kids love that. How have I never heard of making rice bars? Those sound AMAZING!!! I can't wait to try them too! They really are good and you can do so many different things with them! Lots of different taste combinations. Rice bars sounds interesting for sure! I would have never thought of that. Pretzels I LOVE for marathon training. I always carry some with me. And, I just tried the Skratch energy chews last year when I was training for NYC. I really like them. I like Bonk Breakers too. There are some flavors I haven't tried, too. I may pick some up for this weekend! I find this so interesting because I've only done 5km runs! I was a sprinter too! After I felt comfortable at 5Ks, that's when I moved on to longer races. You never know, you may love them! Pretzels are on my food list too. I have been fueling with dried apricots and cliff bars. The combination of the 3 seems to work for me. I have never tried a gel, way to scared of the sugar rush and sugar shock to my system.